The U.S. military has made great strides to develop a cyber workforce. For the Army, this has included creating a cyber command, cyber schools and a cyber military occupational specialty for enlisted soldiers, along with commissioning officers directly into a new cyber branch and sending cyber and electromagnetic activity teams and planners down to the brigade level — just to mention a few developments. But the military services have historically been very resistant to major change. The full integration of cyberwarriors and the ability to integrate cyber capabilities into the core functions of war fighting still face many cultural battles that could slow momentum. In June 2018, the Army leadership published a broad, 10-year plan to grow and adapt the Army to meet the threat environments of today and tomorrow. The new Army Vision (2018-2028) provides the mission, end state and priorities for the Army. The document is only two pages long, so it is limited in detail. Nevertheless, it does provide a few windows into the way the Army thinks about future combat capabilities. 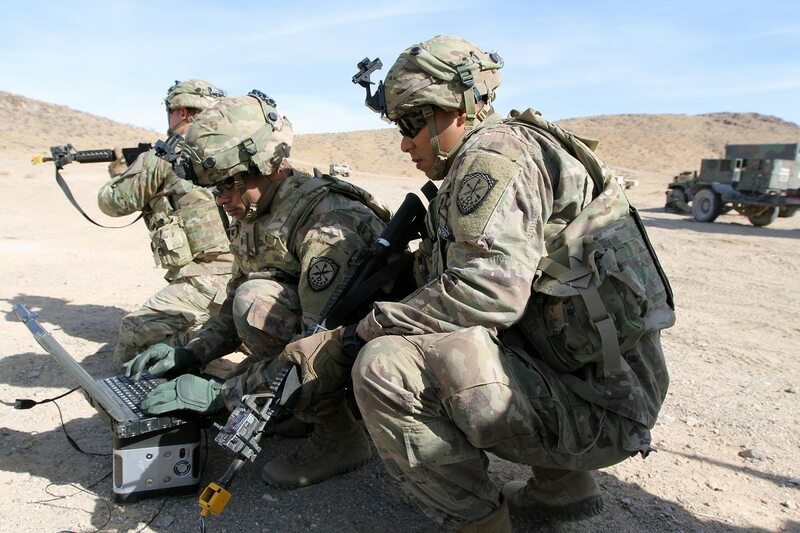 One gap in the Army Vision is a discussion of how cyber will impact the future of warfare or how a cyber force might be used within its war-fighting functions. There is no mention of cyber in the important discussion of the key roles of the traditional branches in winning future wars. Rather, the vision states the Army must organize to “ensure war-fighting formations have sufficient infantry, armor, engineer, artillery and air defense assets” (note the lack of cyber). While the vision statement does note that “units from brigade through corps must also have the ability to conduct sustained ground and air intelligence, surveillance and reconnaissance; electronic warfare; and cyber operations to shape the battlefield across all domains,” the separation between war fighting and cyber operations is still present. This is the battle still to be waged in the Army: Are cyber operations as important as the traditional combat arms branches or are they merely an enabling function used to shape the battlefield for the traditional branches? For every Army senior leader holding a press conference explaining important investments in cyber defenses or call to develop special forces units of cyberwarriors, there are equal numbers of operational leaders unconvinced of the revolutionary implications of cyber. What still remains to be done is to change the Army’s culture to embrace the potential of cyber as a capability akin, and possibly superior, to those of the traditional branches. There are plenty of historical examples of resistance to potentially radical changes to war-fighting practice wrought by disruptive technology. The story of the Army’s incorporation of the tank and the airplane during the interwar period between World War I and World War II is one such cautionary tale. As explained by Dr. David Johnson in “Fast Tanks and Heavy Bombers,” within the Army there were widely divergent views about tanks and airplanes. Tanks were incorporated into the traditional branches of infantry and cavalry until just before World War II. Infantry tanks were support weapons, while cavalry viewed them as “iron horses.” Importantly, the cavalry viewed horses as the priority for its branch and would not trade horse cavalry strength for mechanization. The Army viewed aviation essentially as long-range artillery to support the traditional branches, rather than as a strategic capability. Army air officers, inspired by Brigadier General Billy Mitchell, conducted what amounted to an insurgency to create a separate Air Force, garnering significant congressional support. By the time the United States entered World War II, General George C. Marshall had created a separate armored force with infantry and cavalry mechanized units, gotten rid of all horse cavalry and sanctioned what became the Army Air Forces, which would become a fully independent service in World War II. Importantly, the power of the traditional culture during interwar Army debates had consequences. The Armored Force got a very late start and fielded tanks inferior to German models. Air officers, bent on proving the decisive war-fighting capability of their arm, focused on strategic bombing and paid little attention to supporting ground forces. As a result, the Army entered the war without the integrated air-ground team embodied in the German blitzkrieg. For Army cyber, what still remains to be done is to change the Army’s culture to embrace the potential of cyber as a capability akin, and possibly superior, to those of the traditional branches. The current debate is shaping up to be similar to the interwar arguments over the role of airpower. Is cyber a tactical enabler or a strategic capability? One hopes that the Army will resolve this in a way that makes the Army stronger, rather than failing to fully embrace new and potentially revolutionary technology. John Spencer is a retired Army major who served 25 years as an infantryman, including two combat deployments to Iraq. Follow him at @spencerguard.